The dynamic of the phenomena obtained at the end of this research revealed that through the psychotherapeutic intervention spectral thoughts can be developed, which have the ability to modify the electrophotonic configuration of the human being. This, in turn, leads to a non-ordinary states of consciousness, with a benefic influence on the psychoneuroimmunology connection, which results in an optimization of the bioelectrical age, respectively, a strengthening of physical and mental health of the individual.The effects observed in the field of psychotherapy and the human electrophotonic body led to ground-breaking information in psychological literature. Furthermore, looking into how certain pathogenic electrophotonic matrices are leaving the field under the influence of psychotherapeutic techniques using the reduction of the stress index. Ionel Mohîrţă Ph.D. is a Romanian is a clinical psychologist, transpersonal psychotherapist, the founder of Sonoluminescent Psychology and Therapy. Studied psychology at Bucharest University, has a PhD in psychology, and is the Vicepresident of The European Association of Transpersonal Psychology, Executive Director of the Romanian Association of Transpersonal Psychology and the editor at the Romanian Journal of Transpersonal Psychology. 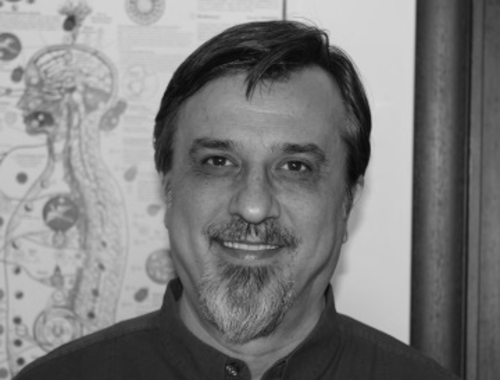 He specializes in regression therapy, internal Taoist alchemy, analytical psychology and Pneuma breathwork and has developed a life long experimental and theoretical research in Psychothanatology. He has written numerous articles and is the author of several books: The Eternal Vibration of the Soul (2003), The Path of the Soul. A Journey into Profound Reality (2005), Sonoluminescent Psychology. A Project of Quantum Psychology (2011), The Secret of Eternal Youth. The Balance of the bioelectric age (2013). After he published the psychothanatological study The Eternal Vibration of the Soul in 2003, he conducted research on the influence of light and sound on the human personality. His website is www.ionelmohirta.com.